You can judge what's put in the media as how you wish but most mature people expect to read about good and bad, for balance. If you assume the media just produce what you want to read it's about time you grew up. Or perhaps you have grown up but are just another dictator? I do not see any growth in any dictator, Bhai and Khai included. For them to grow up is an impossibility. 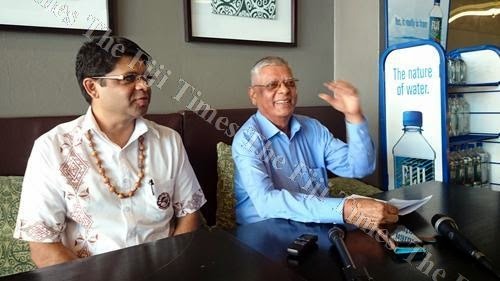 The manager of this website needs to put in more effort to expose this website and make more Fiji Citizens aware of this website because most of them are ignorant towards the Bai/Kai Government. They are only seeing the positives he has done. 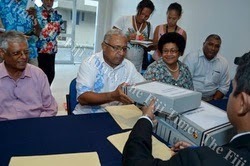 It's time ALL Fiji Citizens know the truth! He ordered his soldiers to kill my friends father in 2000. They took him from his house and tied his legs with a rope and dragged him by a vehicle on the road until he died!!!!! This is just one of 1 million wrong doings! God will deal with this man!!!! God also gave us a brain so make your vote count cos it's time to an end!! For this and other wrongs we must march. NA CAVA MADA E BOKO TIKO SO NA COMMENT. KEIMAMI VIA WILIKA TALEGA SO NANUMA NI SO NA TAMATA. SA I VEI NA FREEDOM OF SPEECH. LAIVA ME QAI MAI . QORI NONA DODONU. LAIVA ME RAU TUBU VATA GA NA CO VINAKA KEI NA CO CA. DA NA QAI SARAVA GA NA VUANA. 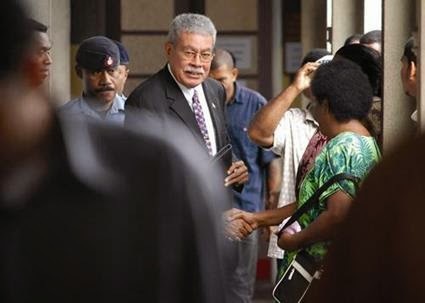 SA DA WARAI NI GONE , ME LEWAI TIKO NA KA DA RAICA KEI NA KA DA SARAVA. CAVA E BLOCK TAKI TIKO KINA NA VOSA NEI SEMI MEO, RAJESH SING , RAJENDRA CHAUDHRY, RATOU NA BOYS MAI QEB , BALETA NA CAVA , NI RA VOSA CA. LAIVA NA VOSA CA ME QAI MAI. QO NA BLOG , NA VANUA GA NI VAKALASALASA . 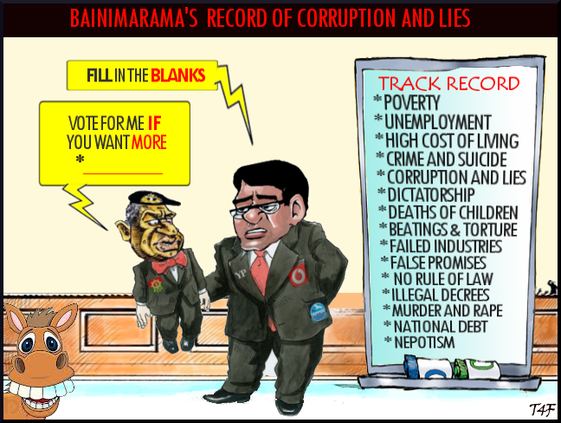 If Bainimarama was really a dictator all his opponents would be dead by now. Thats how dictators get rid of those he views will be a threat to him. A bullet in the head and a shallow grave, but none of that has happened. No, in Fiji that are simply beaten to death.